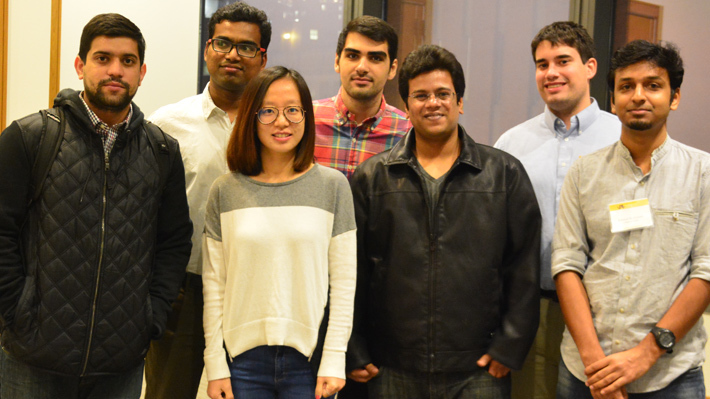 LeBow’s Business Analytics program held its second Dragon Datathon in fall 2016 for graduate students to complete hands-on data challenges. The rigorous 12-hour event brought together seven competing teams of students tasked with translating data into qualitative, actionable insights. Using open-source datasets, teams were required to turn a business problem into a series of statistical questions, design a technical approach and analyze data to develop a solution. The alumni panel judged teams based on their technical analysis, technical challenges, solutions, limitations, insights and overall presentation of tactics used. Pramod Abichandani, PhD, served as the faculty advisor for the competition, providing preparation and oversight for students participating in the event.